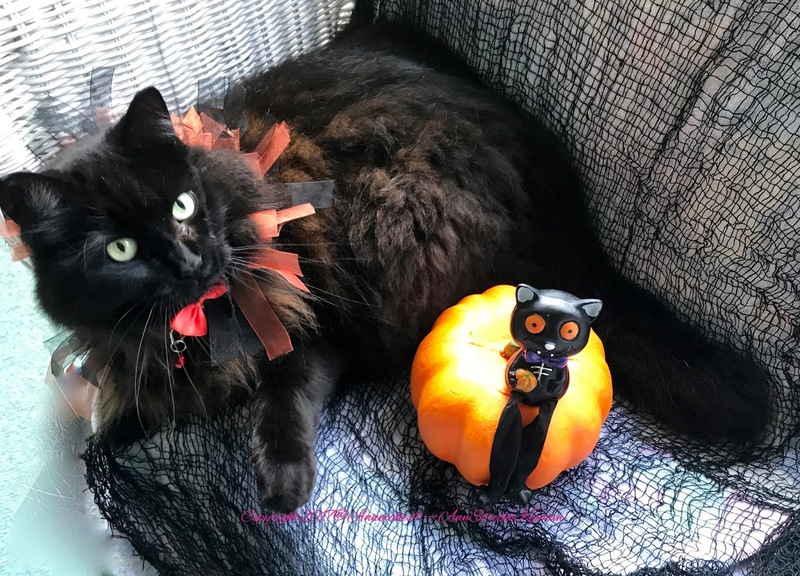 Love your pet, and Halloween? 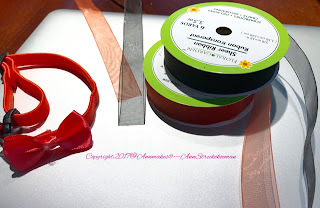 Then there is a quick and inexpensive project that you can make for both. Shop Dollar Tree.com for all your Halloween crafting and decorating needs. Everything is $ 1.00! Here is my Purrfectly posed Pussycat. To make the purfect collar, begin with a collar. Adjust it, so it fits your kitty. Add a bit more length to account for the thickness of all the ribbons. 1. 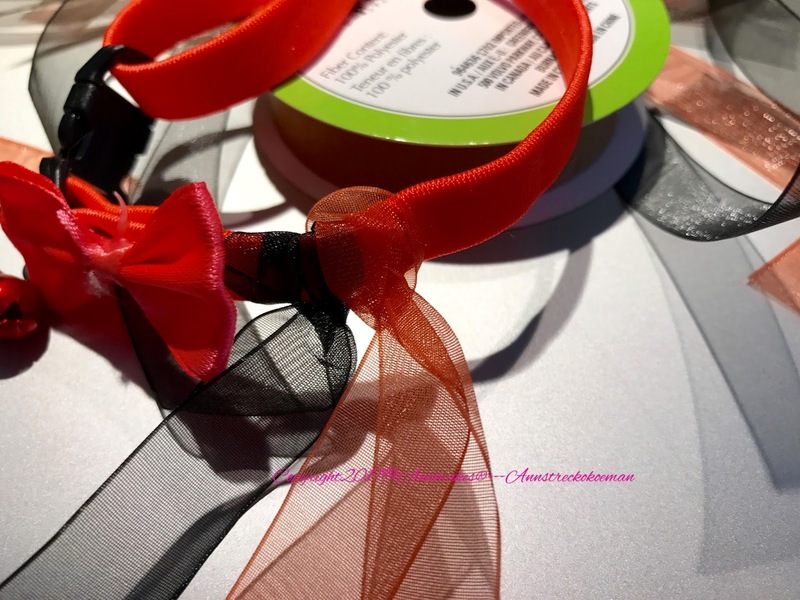 Cut the ribbons into 8 inch long pieces. 3. 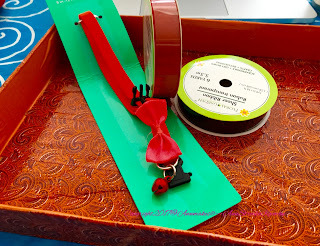 Tie each piece of ribbon to the collar, alternating colors as you go. 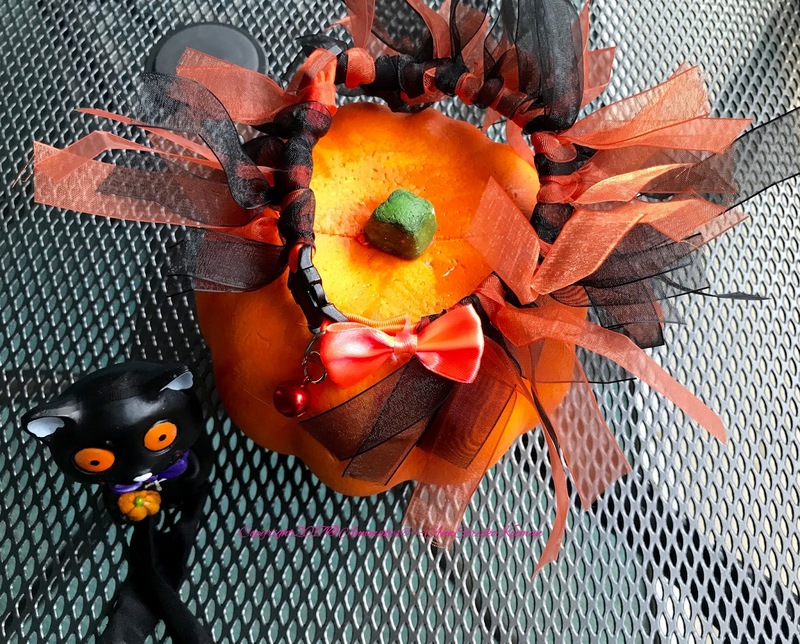 I hope that you enjoy this project and are inspired to do your own craft projects for Halloween. Remeber, you can find all the supplies I used at your local Dollar Tree, and even online at DollarTree.com.